Nuit Blanche returns once again with a message. This year’s outdoor art exhibition features over 75 art projects by more than 300 local and international artists. 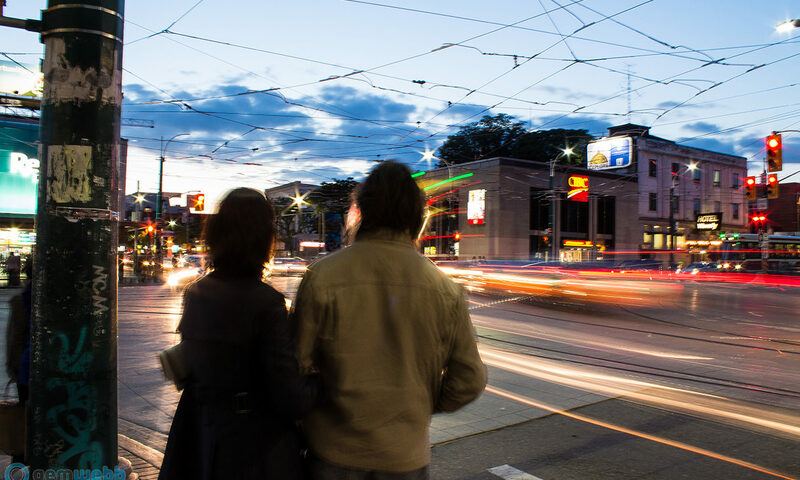 The theme for Nuit Blanche’s 13th year is “You are Here,” which focuses on life in a changing city and explains its relationship to individuals and groups. Spread across Toronto, the event dominates in six neighbourhoods: Downtown, Bloor-Yorkville, Scarborough, Sterling Road, West Queen West and Don Mills. To help you navigate the busy streets, we’ve found the best exhibitions to see in each neighbourhood. What: This indoor art exhibition by Julia Nalini Gibran explores the experiences of many first-generation Canadians, specifically in Scarborough. Through the use of mixed media, Gibran focuses on the themes of race, diaspora, abuse, gun violence, cultural appropriation and healing. Gibran uses music, yoga and photography to share these experiences and engages the audience through interactive sharing. What: This projection, created by Toronto artist Yaw Tony, explores the storytelling aspect of colour. It focuses on three main components of colour: hue, intensity and value – hue being the colour itself, intensity meaning the saturation or vividness of the colour, and value meaning the lightness or darkness of a colour. Tony interjects hidden messages into his project that will challenge the audience and make them think beyond the colours. Where: Ontario Science Centre, 770 Don Mills Road (Second Floor Gallery). Don Mills. What: Artist Hajar Moradi attempts to connect various narratives through the weaving of a Gabbeh, a tribal woven rug specific to the nomads of Iran. Participants are invited to engage with Moradi by picking strands of wool from her hands, which will then be woven into the rug. This allows for a unique perspective to be added through each individual strand. The end result will be a multifaceted Gabbeh. Dark Waters – Video and Light based Installations. What: As the earth begins to shift due to climate change, water will become an increasingly important concern. Dark Waters by Ryan Van Der Hout attempts to address the future of water and its limitations through etched photographs and video installations. Oil drums will mirror the projection of crashing water in an attempt to question its limited access. Where: Double Happiness Projects, 163 Sterling Road (Unit 125, Main Level through Door D). Sterling Road. What: This exhibition is brought to you by the students and staff at Seneca College School of Creative Arts and Animation. Seneca commissioned composer Erica Procunier to create an original piece of music for this project. The students and staff then created art pieces that respond to the sounds of Procunier’s music, including photography, paintings, VR film projections and musical remixes. Where: Artscape Youngplace, 180 Shaw Street (First Floor Hallways & Vitrines; Flex Studios 106 and 107). West Queen West.